Building a fiber network is labor and capital-intensive, but there are more options to make the business case work for fiber networks than ever before. From private investment to state and regional economic development funds to federal funding and public-private partnerships — there are as many ways to finance a network as there are communities in North America. The links at left will guide you through the various options. Fiber-based services companies are attractive to both public market and private equity investors, and there has never been more private capital in the market that can be used to fund fiber to the home projects. These investors view the market as an entry point into a growing sector that will only keep growing -- IP traffic and bandwidth demands are only going to get larger. And fiber operators present an opportunity: the revenue streams have high margins and right now, debt capital is cheap and available. Private equity has already funded a number of fiber operators. In fact, there are in excess of 30 different funds that already have investments in the fiber sector and other funds looking for the right investment. Telecom, Media & Technology-focused Investment Bank Media Venture Partners has prepared an overview of the opportunities and existing relationships between fiber providers and private financing. View the presentation here: Financing Fiber Networks. In recent years, a number of fiber middle mile networks have been built to connect rural areas. Some examples include Independent Optical Networks (ION) and the Massachusetts Broadband Institute (MBI). The MBI buildout has helped facilitate towns like Leverett, Mass., to build their own gigabit fiber service. At the same time, a number of dark fiber providers have emerged, which allow other entities to lease access to build a fiber-to-the-home network. Dark fiber,” where extra fiber capacity is laid, is a growing business for both private and publicly owned networks. That fiber can then be used to encourage private entities to deliver retail services to a community by allowing the private entity to rent or lease excess capacity and cut down on some capital and operational expenses. Some of the most common users include, data transport, data centers, ILECs, and CLECs. And increasingly, wireless providers are turning to dark fiber for backhaul. The Federal government offers technical assistance and a myriad of funding supports for entities that want to deploy fiber. The requirements for each program are very specific and some programs depend upon the agency’s focus over a particular planning period. The largest of these programs that offer funding to support broadband deployment are outlined in the sections below. Public broadband projects in distressed communities are eligible for funding under both the Public Works and Economic Adjustment Assistance programs of the U.S. Department of Commerce’s Economic Development Administration. Broadband funding has not been a significant part of the EDA funding portfolio to date; the program’s online annual reports (2007-2014) include only five references to relevant projects. But: both construction and technical assistance are eligible for EDA funding. Applicants must typically make a matching contribution of at least 50 percent of the total award, and it appears that applicants can apply existing federal funds toward the cost-share. A In cases of extreme economic distress (i.e., substantially lower per capita income or higher unemployment than the qualifying levels), this requirement may be reduced to only 20 percent. The cost-share can be provided through “in kind” contributions. The Healthcare Connect Fund (HCF) provides a 65 percent subsidy to eligible health care providers and facilities for broadband service from providers including municipal or state organizations. While the focus is on serving rural facilities, teaching hospitals and urban/suburban facilities will be eligible if they are part of an in-state consortium that includes rural facilities. The program is administered through USAC under the authority of the FCC. The FCC’s Connect America Fund is the mechanism for distributing money (from consumer charges and carrier charges to each other) to service providers to subsidize broadband build outs to unserved areas.The current round of funding is called Connect America Fund (CAF) Phase II. In 2015, several large wireline providers accepted $9 billion over six years to build broadband in rural service areas and these companies were able to turn down funds in exchange for not serving certain rural areas in their footprints they deemed too costly. About 10% of the funds went "unclaimed." So, the FCC is in the process of structuring a “reverse auction” where other providers can bid to serve those unserved areas. There will be about $2 billion in funding. In June 2016, the FCC proposed rules for this auction, specifically how they will weigh bids from different carriers and proposals, with the auction set to happen once those rules are set. The Federal Financial Institutions Examination Council (FFIEC) has recently redefined the guidelines for the Community Reinvestment Act (CRA) that will allow for loans towards broadband investments that can help bridge the digital divide. These new CRA guidelines will expand financing for the construction, expansion, improvement, maintenance or operation of essential infrastructure that help revitalize and modernize communities.Local and national banks can provide the line of credit needed to provide groups like the rural West-Central Minnesota Fiber Optic Cooperative the money to build a $45 million telecommunications network when the incumbent providers were unwilling to invest in a fiber-to-the-home network. The network will provide high-speed fiber connectivity to the 10 municipalities and 17 townships that have provided support for this initiative. 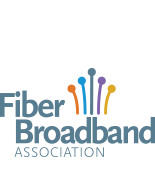 Read more from the Federal Reserve Bank of Dallas and the Fiber Broadband Association's blog. Cities seeking to finance the building of an FTTH network typically use one of several methods to finance capital infrastructure projects. They are: general obligation bonds, revenue bonds and property tax funded utilities.General obligation or GO bonds are directly tied to the City’s credit rating and ability to tax its citizens. In some communities, these bonds are authorized through a public approval process like a referendum, but in other areas, only the City Council must approve taking on the obligation. This type of bond is repaid through citywide taxes and revenues (like sales taxes), which can create risk to other public services should the broadband project fail to break even as spending in other categories funded through general revenues must be reduced in order to meet the public entity’s obligations.Revenue bonds, on the other hand, are tied to a specific revenue source such as a municipality’s electric, natural gas or water utility--though any municipal service that generates some sort of revenue may be used to secure the bond. A broadband service itself may be used to guarantee the bond, but this is generally considered to be high-risk and not accepted practice in the bonding community. Instead of borrowing, a community could use property tax revenues to support the deployment of a network. This method still carries the risk that if the broadband project were to fail, property owners would still be obligated to the tax payments needed to cover initial capital investments made to start the system.